Robby Krieger join Haley Reinhart on stage at the Troubadour last night! What an incredible surprise! She is so sweet and an amazing talent, I have become a fan. 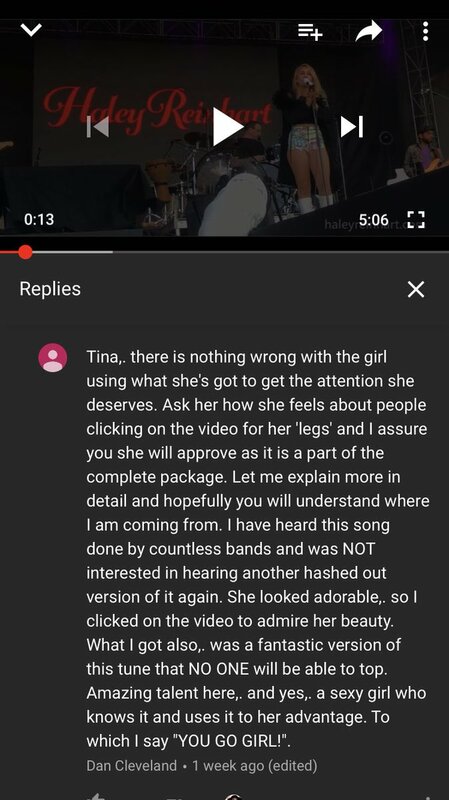 Someone shared a video of Haley performing at RibFest. Not sure which song as it's posted as an attachment and I don't have permission to view it. Quote: Michele M. Roth shared a post to the group: Musicheads. Holy crap! 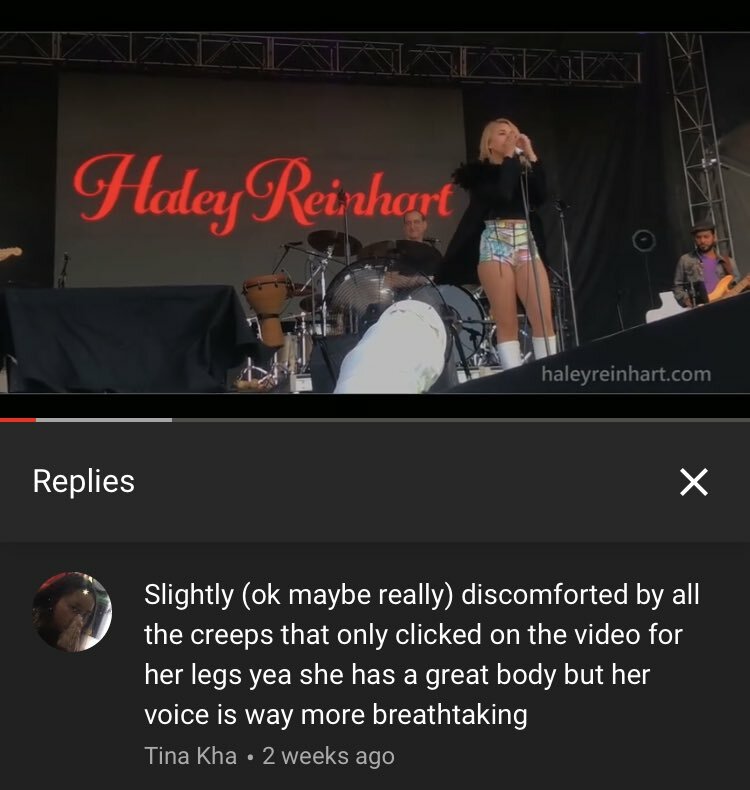 Anyone ever heard of Haley Reinhart before? Can't figure out which I like more.. Her singing or her shorts. yeah. she was on american Idol and sings with post modern jukebox. she rocks. The Bayou in Georgetown is a defunct music club. Quote: E Baumgartner shared a video (7NA). Scotty McCreery is one of her musical interests - which include Ice Cube, Blake Shelton, and The Beatles - so I'm thinking she doesn't recall Haley from Idol. Never heard it sung like this!! Another good one! Never heard of her!! @haleyreinhart I literally just got done watching you on tv here in Chicago and completely fell in love with you and your voice. "I don't know how to love you" is a hit! saw this sizzling hot singer Haley Reinhart on Windy City Live~ treat yourself to her remarkable voice! this chick is perfection !!!! (like 4 days ago) and now i’m hooked. i went on iTunes today, and purchased everything she’s done. ❤️❤️❤️ (Diamond, Diamond, Diamond - emoticons) she’s a gem !!! Haley, PLEASE COME TO TEXAS !! !